The Sons of Norway fraternal order has been in existence since 1895. The fraternal order was established to provide help in times of need for its members. It continues to do that today with over 60,000 members spanning three different countries. The Sons of Norway Medicare Supplemental Insurance is provided through an outside insurance carrier. The supplemental insurance plan covers medical bills that are not covered by Medicare Parts A and B. The Sons of Norway website does not explain the supplement plan. The website recommends you contact a Sons of Norway Financial Benefits Counselor to assist you in determining your insurance needs. The Sons of Norway offers a Long Term Care Plan which helps cover the costs of nursing home, assisted living, and in home care. The benefits, elimination periods, and length of coverage all vary depending on the plan you choose. Premium discounts are available for the Long-Term Care Plans for individuals who qualify. A discount is taken off your premium if you are a Sons of Norway member. A discount is also given if two people within the same household enroll in the plan. Optional benefits and riders can also be added to the policy. These benefits include hospice care, home health care, relief for caregivers, and adult day care. Riders can be purchased to increase benefits or waive premiums. Sons of Norway agents are all independent agents who sell the Sons of Norway products and services. You can find a Sons of Norway Insurance agent on the company’s website by clicking on the district you reside. The map of the Unites States breaks the country into regions. Each region has been assigned a district name. Once you click on your district like the eastern region, a list of agents will appear. The listing also provides the ability to click on a toolbox, which will give you the option to have a financial review conducted by one of the Sons of Norway insurance agents. Simply fill out the information requested and click submit. 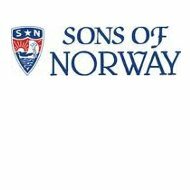 If you are interested in becoming a Sons of Norway agent, contact [email protected] or phone him at (800) 945-8851. The Sons of Norway fraternal order is involved in the community by giving back to its members of Norwegian and Scandinavian descent. In addition to providing college scholarships, the club also provides a student exchange program so that Norwegian Americans and Scandinavian Americans can study in Norway while Norwegians attend school in America. The Sons of Norway fraternal order also believes in helping the community by responding to natural disasters. They also run a grant program to provide cultural awareness in schools. The Sons of Norway fraternal order requires membership. You can become a member by joining online or by mail using the address above. Children under the age of 15 can join free if their grandparent or parent is already a member of Sons of Norway. In addition to the financial benefits of membership, there are also online benefits, which can only be viewed by members. Besides access to the benefits that are mentioned above, members have access to a tool, which helps trace your Norwegian heritage. The Sons of Norway fraternal order also has an online store offering clothing, general merchandise, and family name history information. The Sons of Norway may meet your insurance needs if you are eligible for membership. However, if you are not of Norwegian or Scandinavian descent, you are most likely ineligible. Compare and receive health insurance quotes from active providers by entering your zip code into the toolbox now!